The National Park Service turns 100 on August 25 and they want you to get out, explore, be inspired or simply have fun in your national parks. Plans are being developed to ensure quality stewardship for these national treasures for the next 100 years but don't put off enjoying our parks now and joining this celebration. Washington state is home to some really excellent parks, forests and wilderness with Seattle ranking first among the top 25 largest U.S. Cities with 3.6 million acres of designated Wilderness within a 100-miles radius1. With so much to do you might need a little help getting connected to the outdoors. 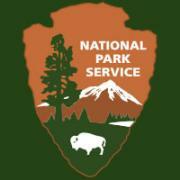 The National Park Service and the National Park Foundation want to help you Find Your Park. Those wanting to roam a little further than the Pacific Northwest who are looking for inspiration, ideas or help planning a vacation to a national park should visit nationalparks.org. Whether you're treking cross country or visiting your favorite local gem, stop in and wish the visitor center volunteers and park rangers a happy 100th. 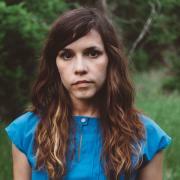 Musician Dana Falconberry and her group Medicine Bow are touring and playing shows at national parks all over the country. You can hear a track from their new album on NPR’s Songs We Love and see where she’s playing here. "Our music is largely inspired by the natural landscapes preserved and protected by these parks, and we can’t think of a better venue for performing it than in the beautiful places from which it arose." The Washington Coast Cleanup takes place April 23rd at Coastal Beaches Olympic National Park. While it started in a park, over the years the event has grown into a massive event that includes much of the Pacific Coast. Find your beach at coastsavers.org . If you have a child who wants to be park ranger or if you just want to have some fun in a national park don’t miss Junior Ranger day on April 16th at the Olympic National Park Visitor Center. Play games, take guided hikes, go on a scavenger hunt and earn your Junior Ranger award. These units include national parks, monuments, preserves, historical sites, recreation areas, trails and a whole lot more. You're going to have some busy vacations from now through your retirement if you're going to visit all 410. If you want to help out our parks and lands you can still join the Earth Day Challenge and do one thing to make our environment a little better, get out and volunteer and help us raise money for our local conservation members. Check out our Earth Day Volunteer page on Facebook for ways you can help make our parks great. 1. Washington Wild report, "Seattle's Seattle’s #1 Wilderness Ranking," 2015.